Lanakila Makua's stories about art, skimming, and island life from her art studio on Maui. Toast, pop and kiss to bring in 2016. "Shaken, not stirred", James Bond is not the only one that loves martinis on New Year's Eve. When the ball drops, pop the cork and drink some bubblies to celebrate. Kiss your love at midnight. Martini toasts, popping the champagne and a midnight kiss are some of my favorite things about celebrating the New Year. This year I've made them into figure flakes to share the spirit and ring in the New Year. I'm wishing you all a Happy New Year! If you want to learn how to make these classy figure flakes, check out our previous post with instructions, printable designs and a video. Spread the Xmas Spirit with Festive Figure Flakes. Festive figure flake with silhouette of women toasting a glass of wine. Inspired by the Radio City Hall Rockettes. The circular design achieved by the hands and the leg kick gives it a distinctive look. Festive figure flake of Hawaiian hula dancers. Santa's hat makes this figure flake a crowd favorite. Figure flake of a women sitting. The curves define this design. 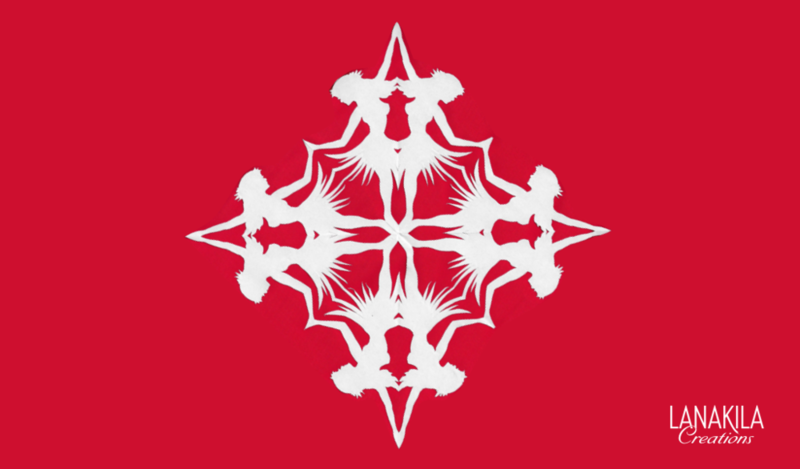 Festive figure flake of an angel holding a star. 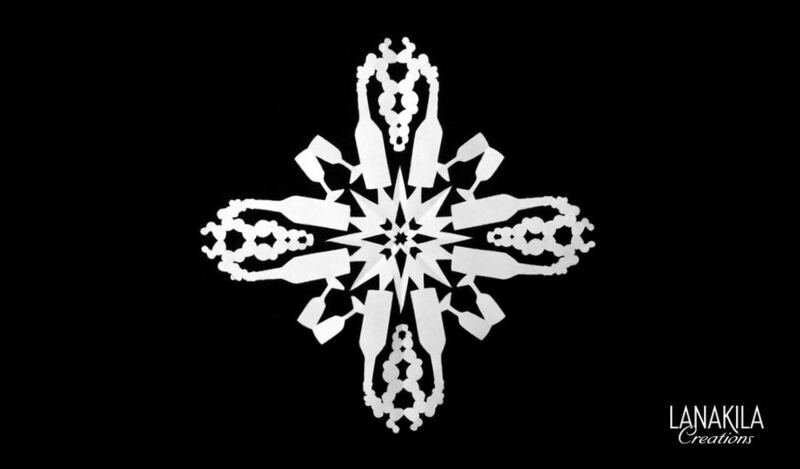 Festive figure flake of a girl in a dress. Festive figure flake of women in prayer. Festive figure flake of girl decorating a Christmas tree. Check out all the presents under the tree. Welcome to Studio Stories. In the spirit of the holiday season I'm sharing you a gift of Festive Figure Flakes. Checkout the video, designs and instructions below to see how you can make your own. Mele Kalikimaka! 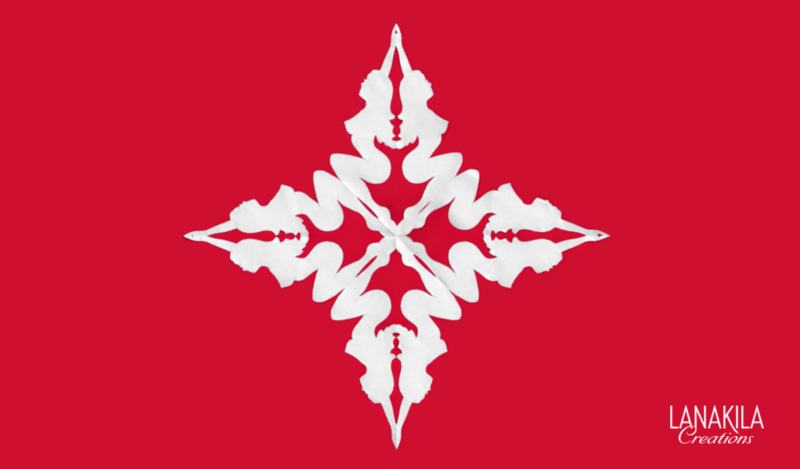 Attached Festive Figure Flake Designs or Your Own Design. Attached below are downloadable pdf files with my figure flake designs. 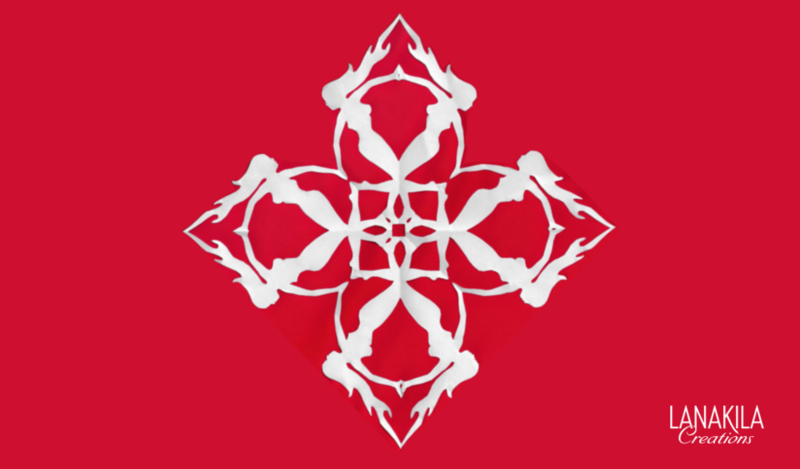 Print them out and follow the steps in the video to create your own festive figure flake. Printable figure flake from the video. Three other original designs from Lanakila Creations.